** This game is scientifically designed and tested to help your child’s brain form the connections needed for learning languages in the future. ** This game foster’s your child’s natural language acquisition and encourages play-based exploration with interactive environments and animations. Swim and tap your way through the water to unlock fun surprises and meet Mochu’s finned friends along the way! Two unique undersea maps provide hours and hours of language learning fun for your little one. Playing Kadho’s games preserves your child’s remarkable ability to hear sounds from all the world’s languages, which creates a foundation for a better language learning experience throughout their life! To put it simply, this game mimics living in English, French, Spanish, and Italian speaking countries or having nannies from 4 of these countries who speak these four different languages. This game contains some of the most fundamental words of those languages and presents them through 50 fun and engaging animations. Parents can monitor their children’s progress as they use this game to follow your child’s improvement. 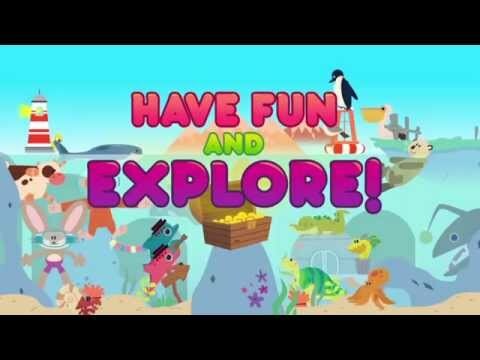 The unique curriculum implemented in the game will allow your child the proper exposure to key words and sounds of the world’s top languages. By exploring Mochu’s imaginative world, they will retain the language capabilities essential to success later in life. Kadho’s games and ebooks mimic living in English, French, Spanish, and Italian speaking countries. Our apps expose children to the world’s most important sounds identified and selected by scientists, linguists, and child development experts for learning the world’s languages. These are the fundamental “foreign sounds” that make up languages. These sounds are presented in a custom manner that exposes a child to these sounds in a natural manner they can learn. The goals of these games are to develop not only a child’s language abilities but their entire Neurofoundation™. Over 50 years of science has shown the most critical phases of early childhood education actually begin at birth till age three. This time is a window of opportunity for the proper formation of Neurofoundation™ for the brains core connections needed for basic sensory, social and emotional processing and understanding. Kadho aims to lead the advancement of child development research and improve children’s lives everywhere. Kadho’s goals are to support, enhance and supplement traditional child raising so that, no matter what a child’s economic or social circumstance might be, he can reach his full language potential. We are KidSAFE certified, do not advertise for third party products or have in app purchases.